Thanks for translating!! Thank you director for speaking your mind about Nino, it's amazing at how Nino makes ppl around him comfortable and at ease. But thats Nino for you, the bratty, endearing and loveable as well as snarky little idol. It seems that he is able to adjust to any situation thrown at him. That's why, like the director, i want to see him off balance too. 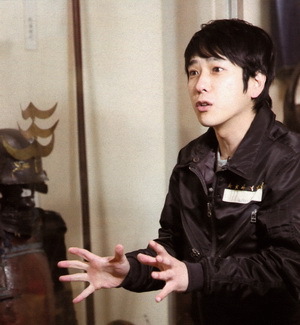 Show us your true fails Nino >.